This work is based on a drawing by JBM Pierre (1714-1789) and GH Watalet (18th C). The human heads and the cow's head appear to be piled or hung together, a scene perhaps from some awful abattoir. The heads float in an abstract ground, while purple and white lines curling with a Baroque playfulness, flow in and out of their features. 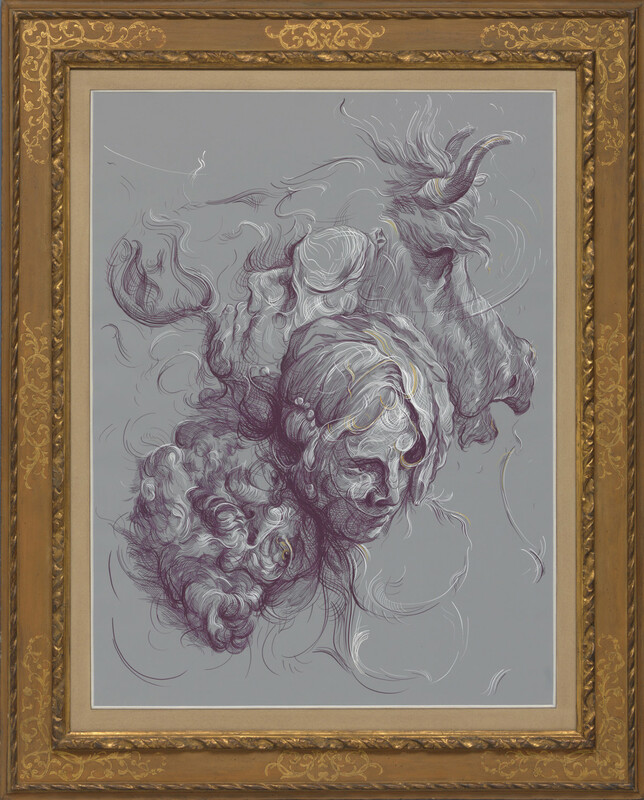 The starting point for this drawing is the frame and the colours used are very much a response to the ochre found in this 17th Century Italian frame. The beautiful swirls of the frame have influenced the macabre subject matter - the work is as much about life as it is about death.